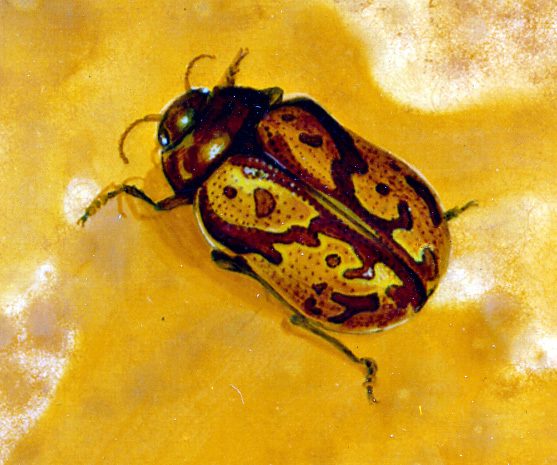 Several years ago I did this group of insect paintings, each of which is about life-size. The images are substantially magnified here – the originals were painted on pieces of masonite roughly 1.5 inches by 2.5 inches. Most of the "models" still reside in a drawer in my studio.